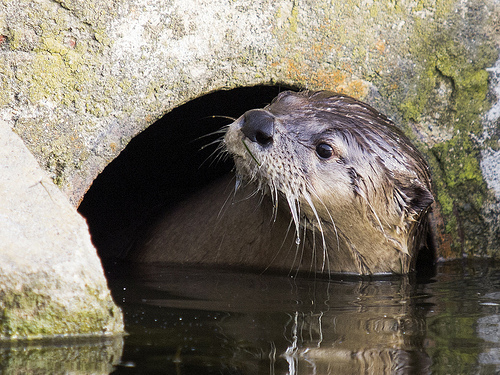 Otters are making a comeback north and east of San Francisco, but there is only one who is stealing the show. They call him Sutro Sam because he is squatting at the Sutro Bath ruins at the bottom of the Cliff House. He has become the media's darling, and I'm just one of his many fans. Read my story about the otter in OnEarth. It's hard to believe you're sandwiched between the three largest cities in Solano County when you're on a hike at the King-Swett Ranches. Read about the King-Swett Ranches in the January 2013 issue of Bay Nature. Learn why volunteer docent Jim Walsh has been leading these hikes for eight years. Ina D. Coolbrith was crowned California's first poet laureate in 1915. She referred to San Francisco as her "city of mists and of dreams," and shrouded her own life story with a fog as thick as that which covered the city's seven hills. Coolbrith contributed hundreds of poems to the leading journals of her time and published several poetry collections. 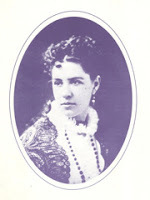 She counted Bret Harte, Mark Twain, and John Muir as friends, and mentored Jack London and Isadora Duncan when she worked as Oakland's first public librarian. Magazines and journals profiled her, reporters adulated her, and fans adored her—but few knew the secrets she kept. I'm writing a biography about Coolbrith and will share some of her secrets with you. When: Friday, January 11, 2 to 4 p.m.
Ina Coolbrith and Joaquin Miller gathered laurel leaves in Sausalito to defend Lord Byron's name. Read about their journey here.